Inspired by their visits to Greatham Creek, Tom Adams and Dan Scott will be sharing what they learnt about the once thriving, but now vanished community of people that at one time called the Housboats their home, at an event in Stockton High Street in April. 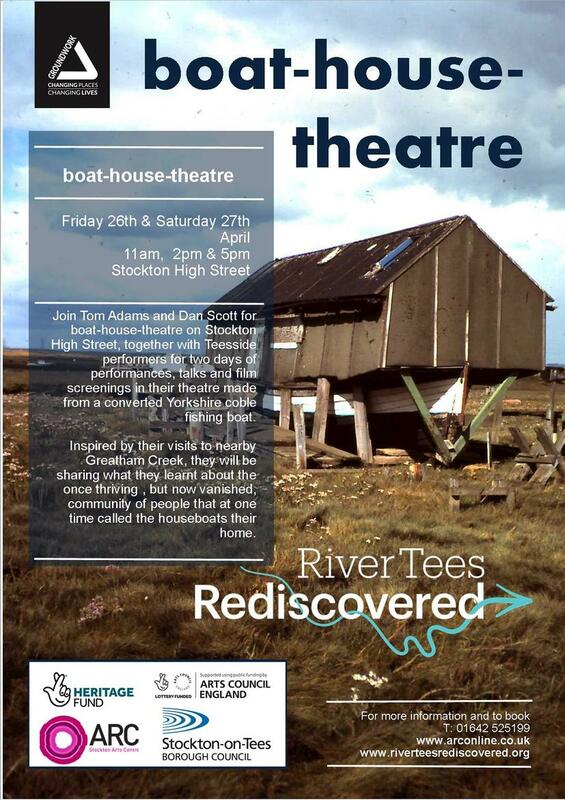 Tom and Adam, and artists from the Tees Valley will be holding talks, performances and film screenings from their own theatre, made from a converted Yorkshire coble fishing boat, over two days on Stockton High Street. There are three performances a day, on Friday and Saturday, the 26th and 27th April 2019, at 11.00am, 2.00pm and 5.00pm. For more information and to book, please call (01642) 525199.